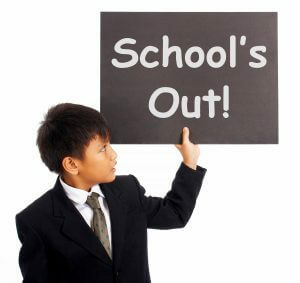 School’s out! It’s time to go skating! If you’re looking for family fun, look no further. This Friday is packed with exclusive bundle packages, extra skating sessions, and food and drink specials. Long weekend? Let the good times roll! School’s out, which is reason enough to celebrate. We’re squeezing as much fun into the day as we can. Skate all day for just $5.50! Bring your own skates or rent a pair for just $2.50 extra. If you’re worried the kids will get bored sticking to skating skating from 11am-5pm, don’t worry; we have plenty more fun where that came from! Take advantage of our Fun & Games Special. Get roller-skating, skate rentals, access to the Lazer Maze, 12 tokens for the arcade, and a chance to play on the playground (for kids 10 and younger—the older kids can get 2 extra runs at the Lazer Maze!). Score lunch for free with our Early Bird Special. Buy a Fun & Games Special before 11:30am and get a free hot dog, drink, and bag of chips. It’s the best way we can imagine to kick off the long weekend! The fun doesn’t stop at Rollerland! Skate the day away at the School’s Out Skate, then bring the family back for nonstop fun at Family Fun Fridays from 6-10pm. Get pizza, drinks, tokens, and Fun & Games Specials for a family of 5 for just $55! Ready to roll? We’ll see you at Skateland. Why You Should Treat Yo Self with a Night Out!